While it seems like there’s no end to the debate about the legalized use of cannabis, even health experts can no longer deny that marijuana lets individuals enjoy certain medical benefits. Several studies have proven that cannabis is a preventative medicine that can reduce the likelihood of developing Alzheimer’s, arthritis, cancer, and certain neurodegenerative diseases. There are studies that have also gathered proof that cannabis is a viable treatment for chronic pain and seizures. Others even believe that the regular use of cannabis oil can help treat cancer. Pharmaceutical companies are also taking advantage of the benefits of the drug by funding the development of cannabinoid-based medicines. These drugs often contain cannabidiol (CBD) and tetrahydrocannabinol (THC), the two cannabinoids that are responsible for the medicinal properties of the plant. Despite these touted benefits of cannabis, not many are aware that it is also a good option for those considering preventative medicine for a number of common health issues. In 2014, researchers from the University of South Florida and Thomas Jefferson University collaborated on a study which revealed that THC contributes to the prevention of beta-amyloid plaque build-up in the brain. This plaque can cause nerve cell death and eventually, Alzheimer’s. THC also improves mitochondrial function. A cell’s mitochondria take nutrients which, after being broken down, is turned into energy. Studies have proven that mitochondrial dysfunction is one of the first signs of Alzheimer’s. Meanwhile, a 2017 study conducted by researchers from Dalhousie University in Canada shared findings on CBD’s effects on osteoarthritis (OA). A degenerative condition, at least millions of individuals all over the globe are diagnosed with OA. Its symptoms include join tneuropathy and pain. HT Philpott of the Departments of Pharmacology and Anaesthesia, Pain Management and Perioperative Medicine, one of the researchers, said that CBD can help prevent the development of nerve damage and joint pain in patients with OA. With proof such as those provided in the studies mentioned above, even skeptics might soon consider cannabis as a preventative medicine. In the meantime, medical experts are still looking into the best options for administering cannabinoids to help fight diseases such as cancer. Minimizing seizures – Epidiolex, a strawberry-flavored oil with CBD, is now being used in a study involving 150 patients. Medical marijuana can soon help individuals with epilepsy find relief and reduce the occurrences of seizures in both children and adults. Nausea relief – As early as the 80’s, the Food and Drug Administration (FDA) approved the use of synthetic versions of TCH to help patients with AIDS or those who need chemotherapy to deal with nausea and vomiting. 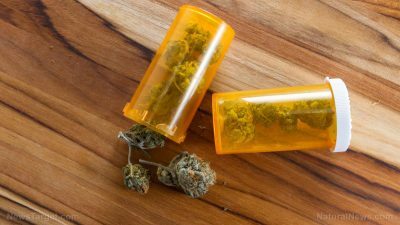 Pain relief – Patients with AIDS, diabetes, spinal cord injuries, and other injuries could soon take medical marijuana to help alleviate their pain. Trials on marijuana cigarettes with different THC-levels could soon help patients with chronic neuropathic pain that can’t be aided by other treatments.